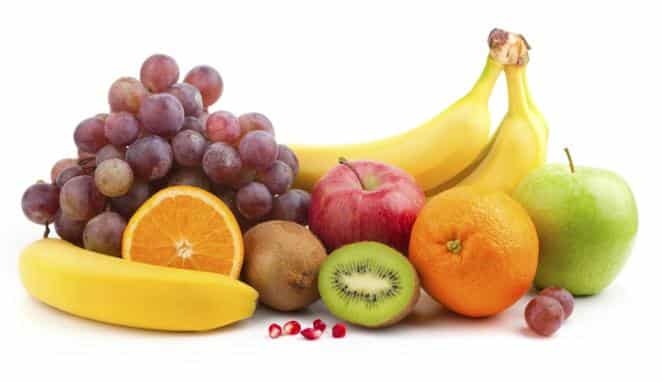 Choose Fiber-Rich Fruits for Fasting – Fruits are rich in fiber is very suitable to be consumed during fasting, the reason is this fruit can help feeling full longer so that the body remains fresh despite fasting. In the fruit, contain many nutrients, this is another reason that makes the fruit is very beneficial for health. To meet the needs of the vitamin in the body, eating fruit every day is certainly not to be missed, including during fasting in Ramadan. However, not a few people who still avoid eating fruits, for fear of abdominal pain. In fact, choosing the right fruit (Choose Fiber-Rich Fruits for Fasting), will not make abdominal pain, it can maintain stamina during fasting. According to Dr. dr. Fiastuti Witjaksono, MSc. MS. Sp.GK, clinical nutrition specialist from the Faculty of Medicine, University of Indonesia, during fasting required to complete meals with vegetables and fruits, either during sahur or when breaking the fast. “Reduce fatty foods and sweet foods during fasting. Keep in mind also, eating fruits also do not improvise, try to meet the needs of the body, namely 75% for adult women and 90% of adult men, “said dr. Fiastuti when found Zespri Kiwi media event. The selected fruit is preferable: Fiber-Rich Fruits, because fiber can help feel full longer, low glycemic index, and high vitamin C that can increase body resistance. “The process of optimal digestion will keep the digestive tract healthy, helps maintain blood glucose levels more stable, so it does not quickly feel hungry. Also, food must also be the vitamin and nutritious so that daily vitamin needs to be fulfilled, one healthy fruit for being consumed during the fast is kiwi fruit, “said dr. Fiastuti. Dr. Fiastuti adds, primarily, the fruit is safe to eat anytime. However, if there is a history of sensitive digestion, the consumption of fruit can be done after sahur, or after takjil during fasting. During fasting we must pay attention to the food we eat, unhealthy foods can cause weight gain during fasting, or it becomes a disease. Then we pick healthy fruit for iftar and suhoor is crucial to know. Here are some tips on choosing healthy fruit rich in fiber and nutrients during fasting. It is no secret that the fruit is rich in fiber is essential for health, anytime, because the fruits are rich in fiber helps bowel movements well. 2. Contains low glycemic index. Furthermore, healthy food during fasting are foods that provide the low glycemic index; these foods can maintain more stable blood glucose levels that help satiety last longer. Vitamin C is beneficial in keeping the immune system. Vitamin C needs to rely on a person’s age. Children need 15-75 mg of vitamin C per day. While adults need about 90 mg (males) and 75 mg (women).